La Jetée is a French film made by Chris Marker in 1962. It is made up of many different black and white photographs and the story is of a post-nuclear war experiment which specializes in time travel. Centered in post-apocalyptic Paris, survivors live underground and scientists make research into time travel with the intention of helping the future. The main male character is a prisoner of war after World War III and the main prisoner that is experimented on. He is transported to the past where he remembers a woman who he met before the war. He remembers seeing her on a jetty at an airport before witnessing a man die there. He develops a romance with the woman from the past but he is eventually sent to the future where he asks them to help escape the scientists who will kill him. The future people offer him a chance to escape permanently to their time but he declines and asks to be transported to the past so that he can rekindle his romance with the woman from his memories. He makes it to the past and rushes to meet the woman on the jetty, however he notices a group of jailers following him and realizes it's the scientists from his own time, come to kill him. Before he dies he realizes that the man he witnessed dying as a child, was in fact himself which can be seen in figure 1. 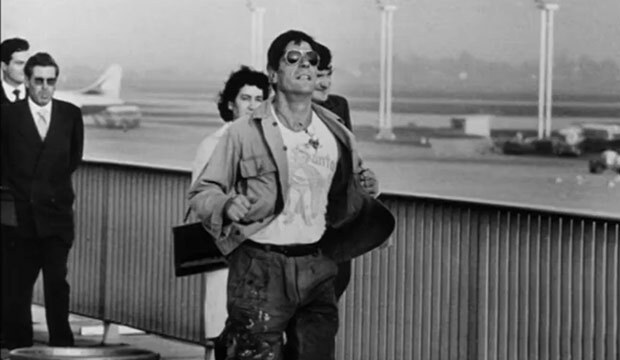 The sound in La Jetée is very important as it is a constant throughout the entirety of the the film. "The melancholic yet grandiose choral music that accompanies the sequence further encourages the audience’s feelings of terror and dismay." (Perry,2007) The fact that photography is used rather then moving film works well in making a link to the past and how often we only ever have our memories and photos of what has happened. "Harbord argues that "La Jetee" questions the reliability of both photography -- "In Marker's hands," she observes, "photographs are not time's loyal witnesses but tricksters of temporal consciousness" -- and narration. She highlights the film's preoccupation with "statues -- fractured and chipped, headless or faceless," noting that this "attention to broken forms is insistent. 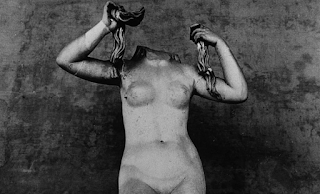 We are instructed to look at the fragments that endure, at the partial nature of things that survive over time. "(Levi,2009) These photographs frame how time passes through concentrating on the broken parts of the world which can be seen in figure 2. Even the settings in the film make links to the past and how humans use different methods to preserve the past. 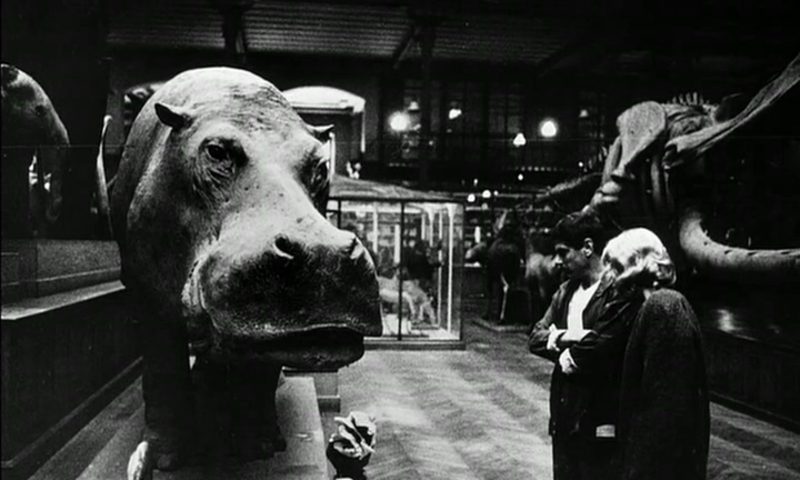 "In a long sequence of La Jetée, the couple visits a museum of natural history in which animals are preserved in timeless suspension, stuffed and static. Yet in Marker’s still shots, there is no visible distinction between the beasts and the people watching them. The happy couple interacts with zebras and tapirs that seem to regard them curiously; the images are full of life, but in themselves they offer no way of knowing whether the animals have miraculously come alive or whether the humans, rather, are frozen like them." (Romney,2007) The scene in the natural history museum works to link in with the preservation of the past through the stuffed animals that can be seen in figure 3. An interesting review...particularly the comparison between the stuffed animals in the museum and the static figures in the photographs. Don't forget to italicise the quotes!